The Oxford London Lecture, now in its sixth year, aims to connect the widest possible audience to some of Oxford's ground-breaking research. Vaccines save millions of lives each year through well-established immunisation programmes that happen in every country. But no vaccines have yet been licensed for Ebola or any of more than a dozen other viral diseases that have caused significant outbreaks in recent years. There is a market failure that has prevented development of such vaccines, which needs urgent attention. I will discuss the dilemma that faced public health officials, vaccine companies and academic vaccine developers in late 2014 and the remarkable rapid response that ensued. At least three vaccines were developed clinically in months rather than years and one of these contributed to ending the outbreak. But all of these vaccines had initially been financed by north American biodefence programmes, not to prevent outbreaks in Africa. Ironically, emerging data suggest that vaccines against Ebola, MERS and many other outbreak pathogens might be quite straightforward to develop to licensure, but this has not happened. There are several lessons to be learned. Many potential solutions have been proposed to provide vaccine stockpiles or to undertake large scale prevention vaccination against future outbreaks. I will discuss the pros and cons of these and the likelihood of any receiving the financing that could allow them to happen. Adrian V.S. Hill is Professor of Human Genetics and Director of the Jenner Institute at Oxford University. He leads research programmes in both the genetics of susceptibility to tropical infectious diseases and in vaccine development. The Jenner Institute links human vaccine research at the University of Oxford with veterinary vaccine development at The Pirbright Institute and the UK Animal and Plant Health Agency. The Institute is currently conducting Phase 1/2 trials for malaria, tuberculosis, pandemic influenza, meningitis, HCV, RSV and HIV. His group has designed and developed candidate vaccines for malaria currently in field trials in endemic countries. His group have undertaken over fifty clinical trials to evaluate new vaccine technologies. In 2014 he led the Oxford-based trials of two candidate Ebola vaccines and rapidly demonstrated their safety and immunogenicity. 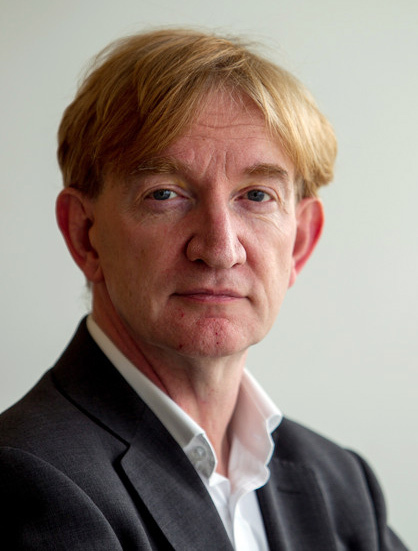 He has published about 500 research papers and is a Fellow of the UK Academy of Medical Sciences and of the Royal College of Physicians, a NIHR Senior Investigator and Wellcome Trust Senior Investigator. Alice Thomson has been a columnist with the Times since 2008, covering a range of home affairs policy issues from immigration to housing and rural issues. She worked previously for the Telegraph, and has been a foreign correspondent and restaurant critic. Nicola Blackwood was elected Chair of the Science & Technology Committee in June 2015. Under her chairmanship, the Science & Technology Committee launched an enquiry into what lessons the UK can learn about the Ebola global health crisis, and the use of scientific advice in similar emergencies. Following roles as Chief Operating Officer (COO) of Johnson & Johnson Pharmaceutical Research, LLC, and Head of the Global Development Organization, Johan Van Hoof was appointed Global Therapeutic Area Head for Infectious Diseases and Vaccines in 2010. Since 2011, in addition, he has been overseeing R&D at Crucell, the specialized vaccine company acquired, as their Chief Operating Officer and Managing Director. Professor Whitty has acted as Chief Scientific Adviser for the Departments of Health and International Development.